In connection with the lifting of the ban on the import of meat and dairy products from Russia to China — the corresponding decree was adopted in China two weeks ago in Bashkiria plan to increase agricultural exports to China. For a number of food products production volume in the country exceeds domestic consumption. Beyond the region are taken 40% of the produced products. Milk and meat are considered the most promising exports to China. Thus, according to the Ministry of agriculture of Bashkiria, in 2017, the region produced 1.73 million tons of milk, providing domestic needs of 130%. This year, the forecast figures for milk are also 1.7 million tons. This indicates the potential to channel exports 30% of production. 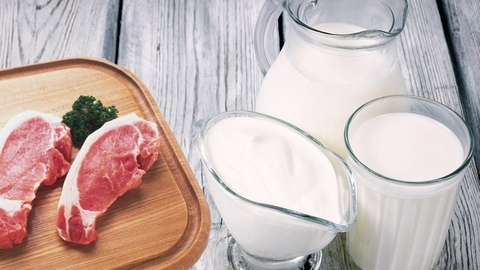 According to the Ministry of agriculture of Bashkiria, on intentions to promote their products in the Chinese market has stated Belebeevsky dairy plant. The trade turnover is constantly growing: as States of the Bashkortostan customs, in the first 10 months, China ranked first in exports among the countries-partners of Bashkortostan with the proportion of 26.7%. Food products and raw materials for their production Bashkiria exported 772,3 thousand dollars, more than 200% exceeds the indicator of January-October last year (275,3 thousand dollars).